To begin your narrative, consider the goals and changes that will likely be encountered. Set ambitious goals that are genuine commitments. Start by imagining the ideal results that you want to experience this year. The more detail, the more emotionally invested you'll be in pursuing and attaining the outcomes you deeply want to achieve. Your goal is to create a framework and common language to animate your vision, eliminating ambiguity and elusive resolutions. Make your goals public, especially to your peers and advisers. Peer pressure/awareness is a powerfully motivating influence. It gives you some accountability along with greater clarity as you gauge and adjust your story based on the responses received. Your narrative will also include some important adjustment that will need to be made in order to overcome the obstacles and achieve the goals. Change relationships. Due to our innate "wiring," you will become more like those with whom you spend the most time because your mental models and behavioral norms will adapt to the environment. What relationships will help you and your team be most successful? Seek out a few other leaders who are already Champions of Talent and do whatever you can to spend time with them--pay them to be your friend if you have to (hopefully that won't be necessary, but you get the idea). The same is true for the people in your organization--they will pick up the traits and habits of those around them. Who do top performers want to spend time with and learn from? Of course, they want to work with other top performers who consistently bring their "A - Game" with comparable energy and enthusiasm. 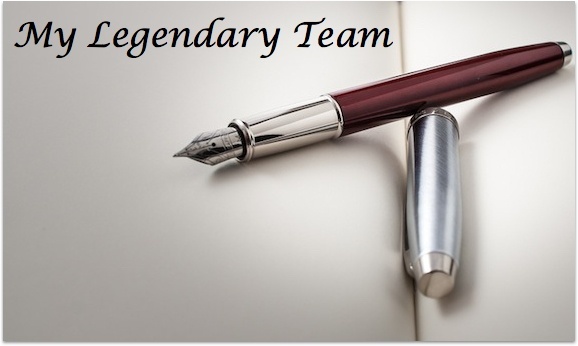 Your story should detail how your legendary team will forge vital internal and external relationships. Change behavior. Persuading people to learn and grow will seldom be easy. But if your narrative starts with changing the working environment and culture, you will begin to change behavior. Consider how you might impact the values, visions, language, behaviors and beliefs (these are the elements that make up your culture). Research data has consistently proven that instilling the optimal culture is the most reliable predictor of how successful an organization will become. We suggest writing your story out in one concentrated period of time so that you can focus deeply. This is a discovery process that will challenge you to anticipate upcoming events and issues, learning from the past to inform your thinking. After you've written the first draft, edit the major change points and milestones to clarify the key ideas. Avoid trying to word-smith until you get to the third draft, which is also the version you can begin to share with others for their feedback. So how does your story flow? Will you slay the dragons that stand in your way? Just how great will your team become and why? With your story completed, I guarantee you will make better decisions this year with more confidence and you will move closer to your ideal outcomes.